"What the world needs now is love, sweet love" and those who love machine embroidery will spread the endearment with this darling chenille heart pennant. 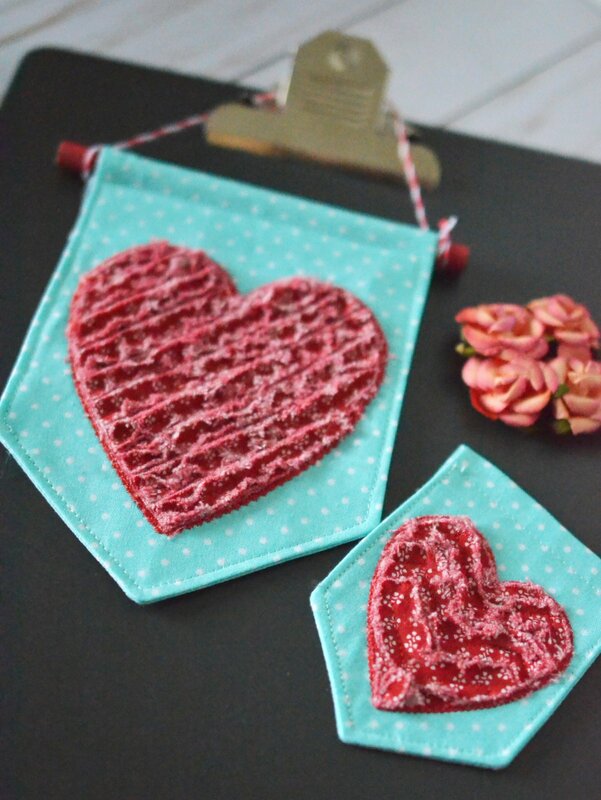 The appliqued heart features two variations for the chenille stitches, diagonal or chevron, on two pennant sizes. Make a single pennant or banner of coordinating colors and share the love. We love to see what you create! Share photos of your project on The Sewing Room Facebook page. Pes file included with kit purchase.